For the student of astrology, Jeffrey Wolf Green outlines his specific methodology for natal chart interpretations that links Pluto to the Moon’s planetary nodes. This original and brilliant synthesis provides an easily accessible, yet profound way to understand how our past life selves affect our present day consciousness, as well as how to evolve beyond these past limiting patterns. This book includes not only a unique methodology that laid the cornerstone for Evolutionary Astrology, but also a comprehensive cosmology that will completely alter how you view your destiny. This is not a book to read, it is a book to osmose: slowly, deliberately, and consciously. Over two decades ago this book exploded onto the scene and has continued to set a new pace to the evolution of astrology itself. 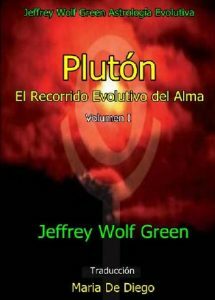 Jeffrey Wolf Green’s writing embodies everything you would expect from Pluto: intense, powerful, riveting, transformative, and penetrating. A book that satiates both the desire for knowledge and deep yearning for true understanding is a rare find indeed, and just as profound as the information included here is the deep intuitive awakening it will bring to your own soul. If you want to help yourself, and assist others, in conscious evolution rather than simply waiting for it to happen this book is the essential map to that journey.